Who can resist a pillowy, chewy homemade crumpet? Especially if it’s made healthier with wholegrain rye flour and a touch of Manuka honey? A perfect breakfast or anytime treat. As an American growing up in the 70s a big treat for my sister and me would be to have a tea party. As we sat down at our tiny wooden play table, in our finest frilly dresses, we waited quite breathlessly for this much anticipated feast of all things usually forbidden. Of course as we entered our teens the idea of these twee celebrations of tiny food stuffs was shunned in favour of the thrilling new world of fast food. But at the age of nine or so we felt instantly grown up at our table for two, and adjusted our manners accordingly. Any volatile argument was held in abeyance just long enough to sup our lukewarm milky Lipton tea and scoff a tiny Melamine plate of delicacies. I don’t recall my Mother doing a lot of baking, but she had a knack for selecting just the right items to create a mood for any type of party or dinner. On these occasions there would be pink wafer biscuits, Pepperidge Farm Milano cookies (the height of sophistication! ), and – from the only bakery in town – Viennese butter biscuits tacked together with jam. But even then I preferred the savoury option, and if there was a Thomas’s English muffin on the plate I would leave that until last to linger over the salty flavours and dab my fingers in the buttered/margarined (70s remember) crumbs. But Kellie, this post is about crumpets. American English muffins are sold split, exposing their air pockets, and are less rough in texture than British muffins. But British crumpets are really rather like the Thomas’s English muffins I grew up with – anytime treats studded with perfect little pockets for holding puddles of butter and honey. However, as lovely as crumpets are, the traditional recipe is based on white flour. Nothing wrong with a bit of that every once in awhile. But I wanted to see what I could achieve using something a tad less processed, and holding onto much of the goodness of the grain from whence it had sprung (this is the kind of thing I would have said in my head thinking that was how British people speak). What prompted me to go off on this delicious quest was that I was asked to come up with a breakfast recipe for Rowse Honey. Although I have a rather undeveloped sweet tooth, when it comes to honey, really good honey, well I find that pretty irresistible. And Rowse manuka honey is pretty irresistible. Spoon-lickingly so. Why Rowse? Unlike some honeys marketed in the UK claiming to be Manuka honey, Rowse honey is the real deal. Using only authentic honey produced by honeybees feasting on the nectar of New Zealand Manuka trees, each jar has a substantial amount of the active compound, methyglyoxal – MG, for short. Their range offers honeys with ratings of +5, +10 and +15 – all potentially beneficial for health. While all honey has a level of antibacterial activity, Manuka honey has an additional, different type of antibacterial action known as Non-Peroxide Activity (NPA). This antibacterial action is dictated by MG and is less affected by heat, light, acidity, moisture and oxygen, meaning its antibacterial properties are more robust than traditional honey. Manuka Honey Nutrition: Raw honey itself is a source of an array of amino acids, B vitamins, calcium, copper, iron, magnesium, manganese, phosphorus, potassium and zinc. With Manuka honey, think four times the nutritional value of flower honeys. It also has a much higher level of enzymes than other honeys. These enzymes work together as a potent antibacterial with numerous applications (some quite literally). While honey generally is thought to be healing in many instances, the antibacterial activity of Manuka honey may be 100 times more effective. Manuka honey seems to be better than cough medicine and also slows or stops the growth of the sore throat-causing group A streptococcus. It is also effective against Campylobacter, a bug that causes food poisoning. 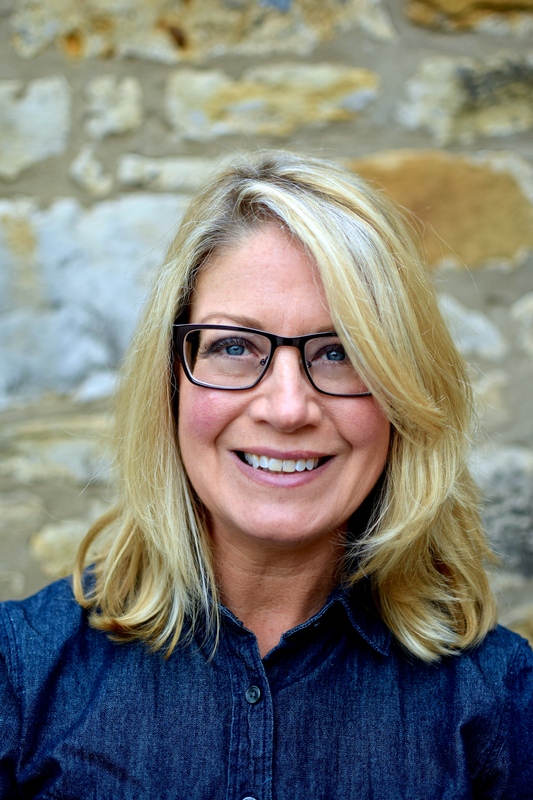 there are claims for other uses, but not a lot of clinical evidence to back them up as yet – boosting immune function and clearing up acne and eczema being chief amongst them. If you wish to know more about about the medical and healing potential of honey, do read this great overview from an Iranian medical journal. As for the recipe, my big tweak is to go rye and go a bit sweet. And a bit spicy. The earthiness of this flour is perfect with the unique taste of proper, rich Manuka honey. Add a bit of cinnamon to the party and, well, you have a tea party. Or at least a good excuse to light the fire and curl up beside it with a cuppa and a crumpet. 1. Stir the warm water, 2 tsp honey and yeast together in a bowl until the honey melts. Cover and let stand in a warm but not hot place (like an airing cupboard) until bubbly and active – about 15-30 minutes. 2. Sift the dry ingredients into a large bowl and make a well; pour in the yeasty mix, the 1 tbsp honey and the warm milk. Stir well then cover and leave in a warm place to get a bit “holey” and rise. 3. Meanwhile, heat just a little oil in your heavy skillet over a low-medium flame, and oil the inside of the crumpet rings. Place the rings in the pan to heat up. 4. When the batter is springy and quite holey when lifted with a spoon, do a test crumpet: spoon in about 2 rounded tablespoons of batter into one of the rings. The batter will not immediately fill the space, and will be quite craggy, but it will sort itself out as it cooks. If the batter is ready the test crumpet will spread out to fill the space, and within a couple of minutes quite a few holes will puff to the surface. Cook the crumpet for about five minutes, or until it is very golden on the bottom. Mine are a bit dark and a bit too thick. More practise needed. Still great though! 5. Use tongs to lift away the crumpet rings, and with a spatula turn each crumpet and cook for a further two or three minutes until a pale golden colour. Carry on with the remaining batter, re-oiling the pan and rings as needed. 6. Eat right away slathered in butter and honey. Or, if 15 is too many to get through (! ), cool, store and reheat briefly under a grill or in the toaster within three days. These also freeze. oooooh these look so special. I’ve only made crumpets once but they were divine… is there anything better than hot butter melting on a crumpet. Such a lovely post… you have to try pikelettes next! Bobby polished these off in no time, good feedback! These look gorgeous an I am keen to get making some! Also, thanks for the info about Manuka honey. As a Kiwi living in the UK I know there are not enough bees in NZ to even make how much is sold here, let alone there Australia etc. Sadly, the only crumpets I’ve tried are those from the grocery store. This recipe is a solution that that issue! A marvelous post Kellie! No I don’t think I could resist a chewy, pillowy, homemade crumpet, especially not yours! Love the earthy addition of rye and the cinnamon. I don’t think you could have made these anymore appealing to look at either, Kellie. I love manuka honey. It’s the reason I’m not completely vegan. 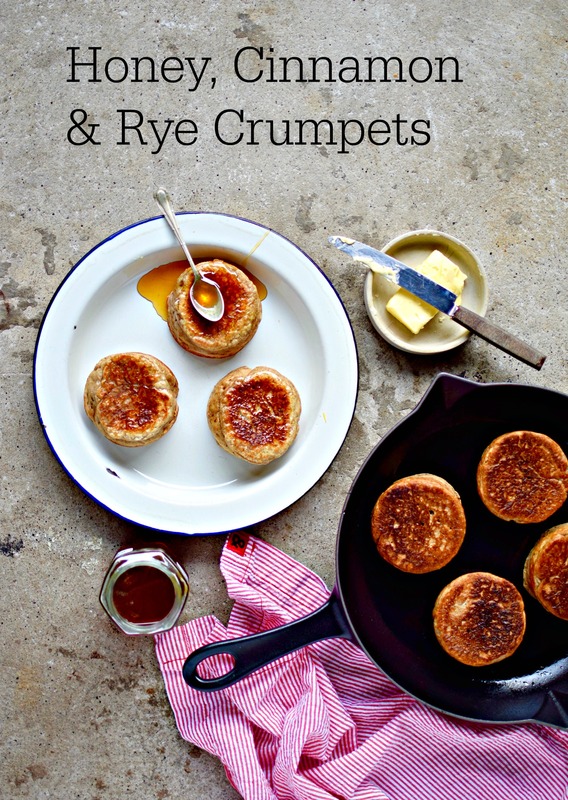 And rye crumpets sound delightful. I’m a total sucker for Thomas’ English muffins, they’re considered a treat at mine! This recipe sounds right up my alley, thanks for the post! Crumpets toasted in the fireplace with honey and butter was a favourite childhood winter treat. If you ever get to try New Zealand beech honeydew, it’s even better than manuka on hot buttery things. I grew up eating it and I think it would be one of my desert island foods – it definitely isn’t as sweet as regular floral honeys. It’s not super common – even many of my fellow Kiwis have never heard of it. Beautiful imagery and gorgeously delicious recipe. Im going to make this in the Christmas hols and bask in the praise from the grateful and impressed family, thank you! These look delicious and healthy! I’ve been obsessed with honey butter biscuits lately so I will have to give this a try! Oooooh, homemade crumpets have been on my culinary bucket list forever. And since I can’t find them in Sweden (except at certain expat shops where they’re highway robbery!) I’ve got no choice but to make them myself. No hardship when they’re as delicious as these look. I love the use of rye flour, and I can practically taste that honey through the screen. Another delish recipe, Kellie! So good to hear from you, Katie! I hope you are all loved up with your new wee man. :-) I yearn for those early days with my Rachel. They really do go SO fast. As for the crumpets, they are incredibly simple so I hope you give them a go. It’s the kind of thing Niko can chew on quite safely too!